Last week, August Home and Xfinity Home released the results of a new survey that indicates growing enthusiasm for and interest in smart security and smart home technology. The study of nearly 1,300 U.S. consumers sheds new light on what motivates adoption, what features are most compelling, as well as how consumers plan to use smart home technology. 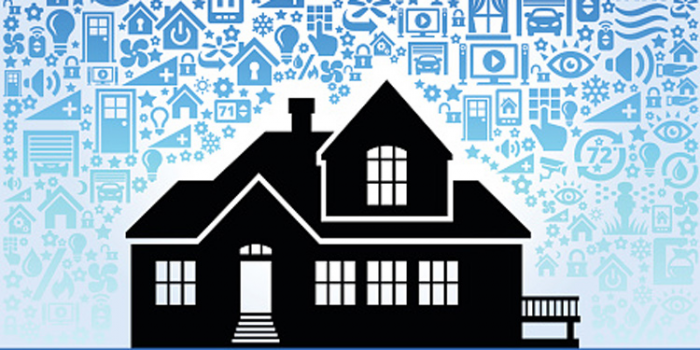 The findings are detailed in The Safe & Smart Home: Security in the Smart Home Era. Nearly 18 percent of survey respondents said they’d likely buy a new smart home product over the next 12 months, including 56 percent of those who already have installed at least one smart home product in their home. In addition, 12 percent of those without smart home technology said they were planning on buying a smart home product in the next 12 months, which would effectively double smart home ownership over the next year to 30 million households. "The smart home industry is still a young market," said Michael Wolf, chief analyst for NextMarket Insights. "But consumer awareness is growing rapidly as new offerings with clear value come to market. This research reinforces our belief that product categories which provide tangible help in meeting consumer needs such as family safety or work-life balance will experience significant growth in end user adoption over the next five years." When it comes to adopting smart home technology, family safety is the biggest motivator for most consumers, at 63 percent. However, adding convenient features, such as the ability to turn on lights after dark (54 percent) and the ability to provide remote access to service providers (22 percent) are also high on consumers’ wish lists. Security-adopting consumers and non-security consumers and are interested in the potential of smart home security. Connected cameras (40 percent), video doorbells (26 percent), connected light bulbs (19 percent) and smart locks (13 percent), all ranked high on security-adopting consumers’ wish lists. However, home security adopters continue to value traditional features such as 24/7 call center monitoring that have served as the bedrock of the home security market for decades. The adoption of new smart home products is both expanding the reach of home security and providing consumers with new ways to manage their busy lives. One way is by using a smart lock and smartphone to control access to the front door for home service providers. Fifty-seven percent of respondents indicated they are open to the idea of letting service professionals into their homes remotely with a smartphone. Consumers were more likely to open their home to service providers where there is a longer term relationship such as house cleaners (41 percent) and dog walkers (35 percent). There is also a growing comfort with opening the home to package delivery personnel and on-demand delivery services with one in five respondents indicating a willingness to allow remote access to their home for service provides they may only interact with once. Safety and security are just one of many concerns weighing on the minds of consumers today. When asked what was mostly likely to keep them up at night, financial troubles (44 percent), falling ill of a terminal disease (21 percent) and the Presidential election (15 percent) ranked higher on the list of worries than a home robbery or invasion (9 percent) for most consumers. Yet, when asked what life event might be the catalyst for adopting new technologies, a home break-in or crime in the neighborhood ranked number one at 46 percent, followed by moving into a new home at 26 percent, remodeling a home at 14 percent or having a baby at 5 percent.